But there are pitfalls to watch out for while browsing – so make sure you don’t end up buying now and regretting later. More than 15,000 UK shoppers were conned out of more than £11 million during Christmas last year. Victims may find themselves defrauded on popular social media and auction websites. Mobile phones, computers and household goods are a common item fraudsters use to hook victims in – with “bargain” deals on some of the most popular models of smartphones, only for the phone to never actually arrive – leaving victims without gifts to give. Simple steps like paying via a credit card over a bank transfer or only using reputable shopping sites can make a big difference in protecting yourself online. The charity Electrical Safety First warns that fake electrical items can be virtually impossible to spot, with online shoppers misled by fake imagery, bogus safety marks and fake, glowing reviews. They’re often retailing for just a few pounds below recommended retail value to avoid arousing suspicion. The charity says people should look for the seller’s full contact details – and if they are not supplied, be wary. Many fake electrical goods are manufactured overseas, where they are produced as quickly and cheaply as possible. Look out for packaging which could provide telltale signs that goods are fake – if there are spelling mistakes or it’s flimsy quality, or the printing is poor. Also, fake products may not include materials such as a manual or a registration card – or even all the parts! A recent survey of 15-24-year-olds from Barclays found a third regularly look at celebrity or influencer social media accounts for shopping inspiration. Many of us search online to see what other buyers thought before making a purchasing decision – but watch out for fake reviews, which could mislead you into buying something which isn’t as good as you think. Consumer group Which? says the signs of fake reviews could include them being repetitive, the language not sounding natural – sounding too much like an advert – or being too short or too long. 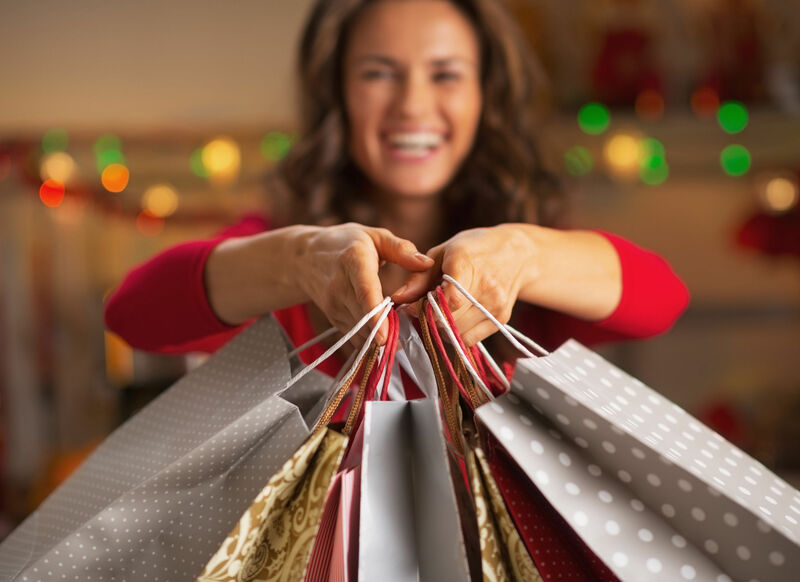 It’s easy to get carried away when you’re rushing around the shops with special offers proving a distraction, making it easy to forget what you were looking for in the first place. To stay focused, try setting out with a shopping list – and only sticking to the items that are on it.